Riverstone Language and Communication and MyBusyMeal, the new location-based social network that allows you to meet other professionals to share experiences and insights in relaxed and elegant settings, are delighted to announce their partnership and the launch of the English Networking BusyMeal – with Riverstone. 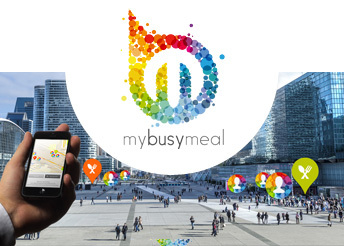 MyBusyMeal.com is a French concept which has quickly expanded internationally. The platform brings together experts and professionals around a single table, to share experiences, ideas and projects over a meal. The aim is to seize all new opportunities to feed your network, nourish your ideas and help realize your projects. Riverstone Language & Communications is a new, dynamic organisation that helps people to use English in their personal and business lives. We also offer a wide range of specialist and general language courses as well as the chance to experience English in action during our events, including the new BusyMeal, which will allow you to make useful, new connections. The new English Business Networking BusyMeal is the fruit of our partnership. At these events businesspeople can present projects and skills or simply enlarge their professional network. If you would like to take part in on one of our events, simply sign up for MyBusyMeal using their highly-intuitive platform. Both Riverstone and MyBusyMeal are proud of this new partnership that will allow us to develop this project internationally. The first English Business Networking BusyMeal will be a wine tasting event at the legendary Cantina Scoffone in Via Pietro Custodi in November. Places for this BusyMeal are strictly limited. You can find full details on the Riverstone BusyPartner page of the site. A rooftop aperitivo at the chic Hotel Cavalieri in downtown Milan is also planned for December. Click here to discover MyBusyMeal and to create your own BusyCard! This entry was posted in Business Networking, Live Events, Riverstone News and tagged aperitivo, contacts, dining, entrepreneurs, events, Milano, networking, Riverstone, social, wine. Bookmark the permalink.